The society of weirdo's and oddball's would like to invite you to a night of solo sketch comedy and Stand up comedy to benefit your funny bone and get you away from Netflix. 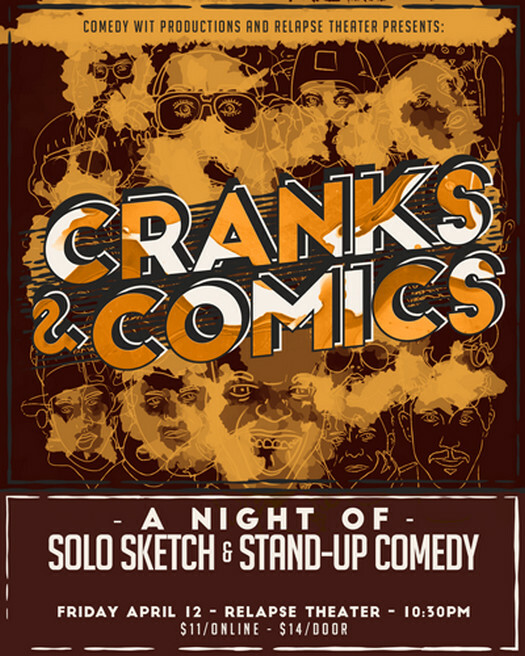 Cranks and Comics is a showcase show of Atlanta's funniest comedians. Come join us as we embark on a show featuring the cities most creative folks all wrapped up into one spectacular show. Hosted by Atlanta's favorite host Yoshee (according to twitter and farmersonly.com), this show combines comedy like you've never seen before.